Well done, Yankees. To be honest, I wasn't really all that excited. I'm glad they won, but it'll never feel like it did in 1978 and 1996. And I'm always thinking of the words Sonny LoSpecchio told young Calogero in "A Bronx Tale"; that he shouldn't care about Mickey Mantle because The Mick, if times ever got tough, wouldn't help pay his father's rent. "Mickey Mantle don't care about you, so why should you care about him? Nobody cares." Sheesh. I'm well on my way to being the grumpy old man I've always dreamed of becoming. Still, a pretty good series to watch. Valiant effort by Pedro Martinez (pictured above) for the Phillies. My hat's off, even though I still can't forgive him for tossing 72-year old Don Zimmer to the ground like a greased pig a few years ago. More on baseball later. First, UConn news. There isn't much today. Sio Moore is out, A.J. Portee is questionable with the flu, Mike Cox and Alex Molina will play this weekend. Edsall mentioned again how much Robbie Frey will be missed, not just for his kickoff returns but his coverage on punts and kickoffs. He played all four special teams well, and it will take several men to replace him. Game 1: PITTSBURGH (-21.5) over Syracuse - Can't wait to read "The Idiots' Guide to Ruining Your Promising Career", with foreword by Mike Williams. Cole Hamels and Larry Johnson will contribute as well. And then there's LeMoyne 82, Syracuse 79. LeMoyne plays at the University of New Haven later this month in a Northeast-10 Conference game. Great week at Syracuse. Game 2: Connecticut (+16.5) over CINCINNATI - Over/under on mentions of Ohio State, UConn's basketball program and every other school in the top 10 by Brent Musberger and Kirk Herbstreit: 122. Game 3: WEST VIRGINIA (-19) over Louisville - T-minus four games and counting on the Steve Kragthorpe era. Game 4: NOTRE DAME (-11) over Navy - I'll take this opportunity to provide a public service message. Prepare yourselves for two weeks of "Zach Frazer returning to Notre Dame as UConn's starting quarterback" stories around the state. They'll begin around Monday. Not being judgemental. I'll be on the bandwagon leading the charge. Game 5: ALABAMA (-7.5) over Louisiana State - Nick Saban plays himself in "The Blind Side", which hits theaters across the nation on Nov. 20. He fits in perfectly with the phony Hollywood crowd. Sandra Bullock even asked him for tips on the best brands of spray tan. Game 6: Oklahoma (-6) over NEBRASKA - One of my buddies, a Phillies fan, sent me an email of congratulations this morning for the Yankees win. It's just nice to know people notice all the hard work we fans put into something like this. You know, staying up past 11:30 p.m. to watch the games on TV and all. I'm certain the team couldn't have done it without me. Game 8: Houston (+1) over TULSA - More on the Phillies hairstyles, because it bugged me the whole series. When did Pedro Martinez become Monty Brewster? 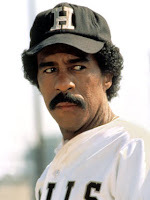 He looks just like the Richard Pryor character from "Brewster's Millions" now. And Chase Utley had a great series, but the motor oil he slicks his hair back with was apparently a little too thick before Game 6. It was seeping into his eyes, thus the 0-for-3. Utley looks like a combination of Tweeder from Varsity Blues and the Night Slasher from "Cobra", the underrated 80s cop flick starring Sly Stallone. Game 9: Kansas (-3) over KANSAS STATE - Big XII football, feel the excitement. This game, one of the premier league matchups Saturday, by the way, won't be nearly as painful as Fox's Chris Rose doing his post-game interviews with the Yankees. And you thought Joe Buck tries a little too hard to be "hip". Game 10: Trinity (+1) over AMHERST - Oh, you don't follow NESCAC football? Heh, Heh, Heh. In all fairness, if you don't live near Hartford, you know nothing of this great league and rivalry. Trinity's 15-game win streak came to an end last weekend against Middlebury, spoiling a meeting of unbeaten teams. Should be a good one. Get your picks in by clicking "comments" link below. See you on the chat at 2. Hey Chip, I was looking forward to the chat, but there are either problems on your end or mine, it's stuck in standby mode. Oh well, maybe next week. Three straight weeks at the bottom of the pack, I'm nothing if not consistent. Game 1: Syracuse. They can keep it close enough to cover. Game 2: Cincinnati. I don't expcet much from this game, also I'm going to be at a wedding, figures! I was all excited, knowing it was an evening wedding and no way there'd be a night game for UConn/Cincy and I'd still be able to watch, NO DICE. At least that's what DVR is for. Game 4: Notre Dame. Keep winning ND...I want to knock off a top 15 Notre Dame in two weeks. Game 5: LSU. Bama can't score enough to cover. Game 6: Oklahoma. No Bradford, no problem. Game 7: Penn State. Pryor is terrible. With only 10 games on the slate, I'll have to try extra hard to lose 9 like I did last week. Wish me luck! Just trying to psyche out the competition!! I assume Alabama is 7.5 point favorite, right?? Unless LSU is getting a ton of love from gamblers. Yes, Bama is giving 7.5 everyone. I had to change that on the main page. Hope everyone sees it should be reversed. Good thing there's no money involved here, or I might be in for a knee-capping for that one. Saturday night will be a major event in UConn football history. It's not often the whole country gets to see a team beat by 59 points in prime time. First off, to Vinny from East Bumf*ck, I really don't think Cincy will lose by that much, you know they have a pretty good team, so I think they may keep it close. Not that you will know, as (in your own words), you will be out prowling for high school chicks. By the way, don't forget your Axe hairspray. By the way, I hope no one else here calls any high schooler that Vinny picks up a "cradle robber" as cousin Vinny is clearly infantile!